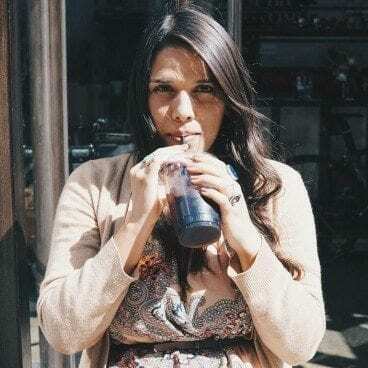 If someone were about to ask me who I am and how I came to be involved in specialty coffee, I’d say that I am an adventurous 23-year-old girl— born and raised in the coffee farms in Tarrazu Costa Rica— who has been traveling for almost a year. It just happened and it happened fast. 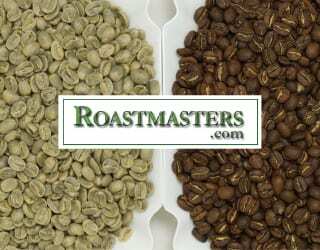 I started by getting involved with coffee aficionados firstly in California, other States, Europe and then Australia. After working several coffee jobs, I finally started to work for a specialty coffee shop and roaster, James Coffee, in Little Italy in San Diego, CA. 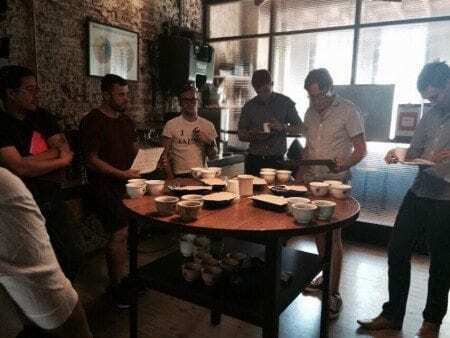 I learned the basics of speciality coffee for three months and this was a great opportunity for me as I learned about the right preparation and brewing of coffee. Cafeticanela drinking cold brew at Coffee CoLaB LA, California. Whilst I was living in California, I had the opportunity to visit Australia. Back in the day during my primary and high school years I used to be a swimmer and partook in competitions. My coffee farmer dad was my coach during high school and in college I began to give swimming lessons to the children from my local community since people in the coffee farms didn’t play any other sports other than soccer. When my dad started to take children to compete in the International Children’s Games in 2010, I took place in Lake Macquarie in Australia as the coach’s assistant. 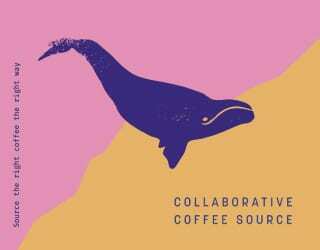 Whilst I was working for James Coffee, David Kennedy the owner told me about how he got into the idea of opening a cafe after he had travelled to Australia. He explained to me how good the coffee culture is over there and I became curious about the coffee market out there. 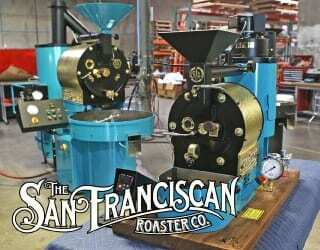 I started looking for opportunities and contacted some roasters and coffee shops. I met Nic Theodor, a roaster at Reuben Hills and Paramount Coffee Project and visited him in Sydney where he was based and in an instant I fell in love with the place. I felt curious and excited to experience my first cupping session and my dad joined me to cup his own specialty coffee (La Pastora Tarrazu) for the first time in a foreign country. We blind cupped our coffee and with disappointment realised that the one we didn’t like the smell of was ours. After meeting pretty much everyone at Reuben Hills that day I got hired as a “Multitask Girl” and I was excited to get started. 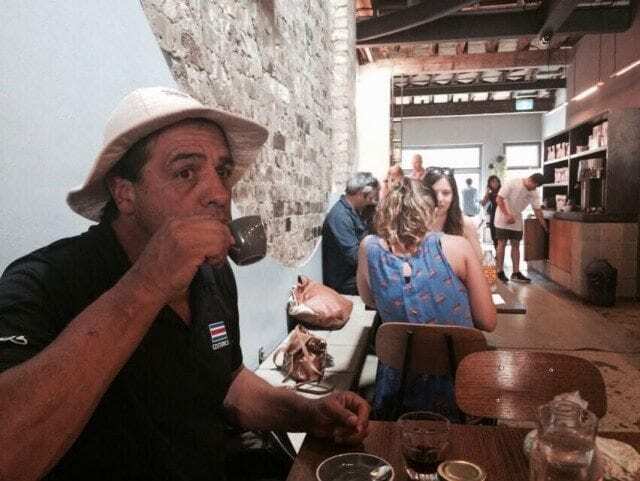 Don Carlos Montero, coffee producer, drinking espresso at Reuben Hills, Sydney Australia. 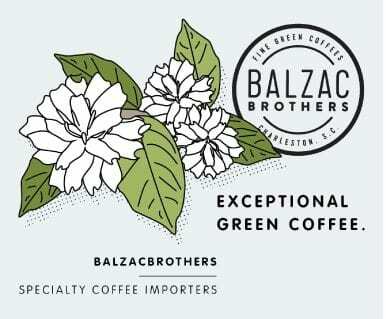 Living in the midst of the coffee culture in Australia for three months gave me a really good idea of the Aussie market and what was happening around it. 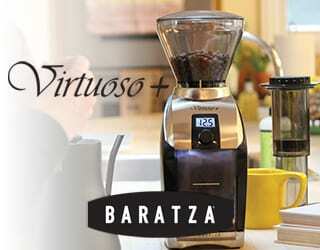 I never imagined that the coffee would be so precise and of such good quality. One of my fondest memories was serving Barista Champion and the creator of Barista Hustle, Matt Perger. He asked me for a cappuccino, but I could tell he didn’t like it as he only sipped at it a little. There is a difference between a cappuccino in Melbourne (where Matt is from) and one from Sydney. In most of Melbourne specialty coffee shops, cappuccinos are served without cocoa pulver on the top; contrary to Sydney – at least at Reuben Hills. Cupping table at Reuben Hills, cupping our coffee from La Pastora, Tarrazu. When I came back to the United States, I was so much in love with coffee and wanted to keep learning more about this caffeinated world. 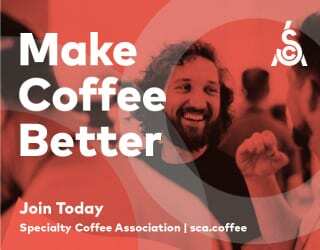 I went to the SCAA event in Seattle with Bodhi Leaf coffee traders and met the owner Steve, who then offered me a job at a new coffee shop that he was about to open. My experience in Seattle was exhilarating. 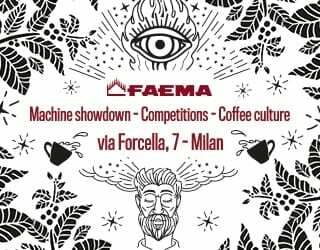 I met a lot of experts in the coffee industry and even though everything was happening so fast around me, it seemed to me like every moment of the expo was planned and had purpose; everything was making sense to me. I felt surrounded with the best people in one of the best environments in the industry. Aida Batlle and me at the SCAA. 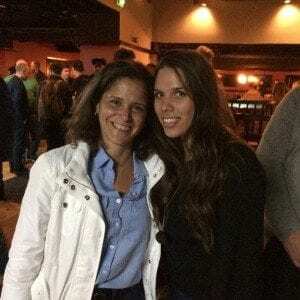 After Seattle, I started an internship at Bodhi Leaf. I’ve been doing some shifts at the new Bodhi Cafe and it’s always nice to hear customers request and questions about coffee. The first question they have when they hear me talk is to ask where I’m from. I like to make people guess and it’s funny but at the same time interesting hearing them guess that I’m from Brazil, which is absolutely not true and I wish I spoke Portuguese so I can’t even pretend that I am Brazilian on occasion! 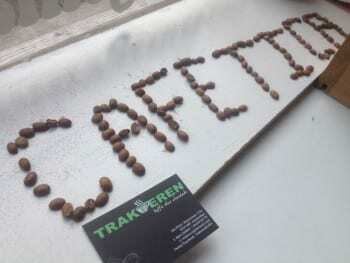 “Tica” I am and I like when I have a chance to educate people and give them some information about specialty coffee. Just like I have to educate farmers back home, I have to educate customers at the cafes; some of them don’t know what a coffee plant looks like, or what is good coffee or a cup of specialty coffee without sugar and artificial flavours. 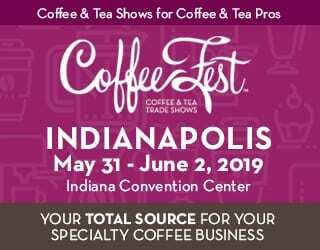 I’m passionate about trying to make both sides of the industry understand more about the coffee world and how all around it is changing in a fast pace. Trakteren, Amsterdam. Visit to one of the specialty coffee shops. 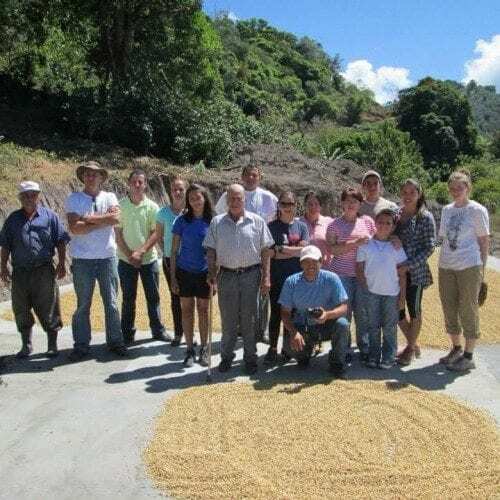 Educational coffee day, teaching them about our coffee operation in the “ Don Eli Montero” micromill. Montero family at the “Don Eli Montero” micromill. Tarrazu Costa Rica. When I tell people I’m from the coffee farms they want to know all about it, especially the ones very involved and curious about this industry. This brings me back 13 years ago, when I was living my childhood in the middle of the mountains surrounded by coffee plantations. 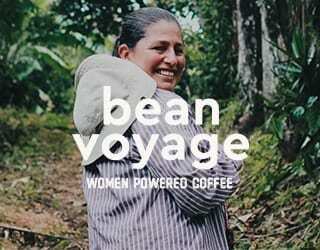 I picked up coffee every harvest with my younger brother Jacob and my parents Carlos and Lucia. 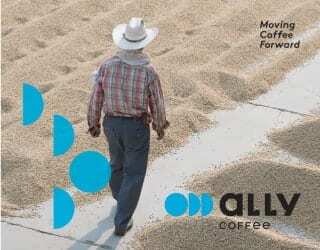 I hated picking coffee but we had to do it, and it was exhausting to do this work under the sun during long days. I was always happiest when lunchtime came; I just wanted this moment to last for ever. Hearing and feeling the breeze around the trees in the mountains felt so good after a long day of picking up coffee. I remember cheating my brother. We were kids and we stole some of each others coffee from the other ones bag of cherries when we were going to empty the coffee basket. When I was 10 years old I picked up around 3 cajuelas (Costa Rican measure for coffee cherries) a day and earned 1000 colones in the earliest 2000’s. Today, this equates to 2US dollars per day. But my dad, to incentivize me and my brother, paid us some more colones. During this time of my life I didn’t drink coffee and honestly hated coffee. Some of my friends and I saw this work as exhausting and as something we never wanted to do for a career therefore we went to school and were hopeful that we could be professionals in some other field. Pickers hand at the Montero’s coffee farms in Tarrazu, Costa Rica. 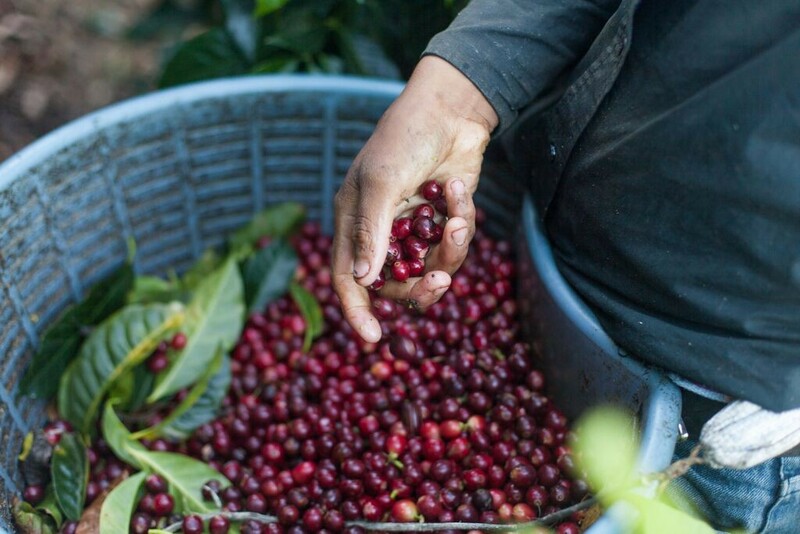 Today the story is different and if you know how to educate yourself as a farmer and you know how to process and produce good coffee you can survive and earn good money for your coffee – this just wasn’t possible 10 years ago. 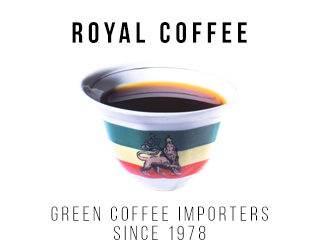 My reality and my generation have more opportunities to be able to become a coffee entrepreneur and to learn more about something I’ve seen my whole life growing. 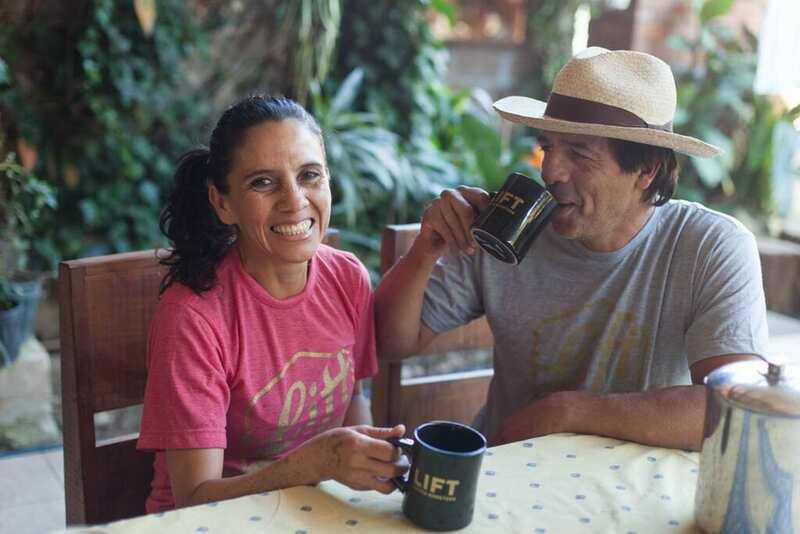 Lucia and Carlos Montero (my parents) enjoying some delicious coffee at their home. 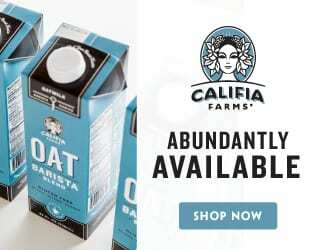 When I was 12 years old I started to take my swimming career more seriously, so my parents made me choose during harvest and school vacations if I wanted to do tough training at 5:00 am in super cold water coming from the river right next to our farms or if I wanted to go and pick coffee all day long. I love swimming, so even when it was super early in the morning and freezing water I chose to swim for hours with my dad as my coach, which was pretty challenging. At that time, I wanted to cry everyday when I had to wake up super early to go to the farms or to do training but now I am very grateful because thanks to that I have become more disciplined. All these memories make me realize how lucky I am to have amazing parents. Not all my neighbors and not all farmers’ kids were as lucky as I was and as I am. That’s why I feel I need to bring all this knowledge and experiences back to my extended family. 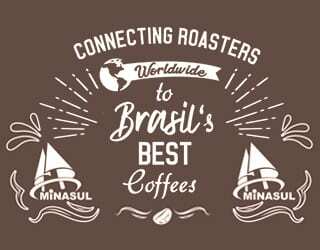 And not only them but I also want to let people know in the consumer part of the industry how life is on the farms and how much hard work it takes for you to enjoy that cup of coffee you are enjoying every morning or afternoon, while you are having sweet conversations with a new “barista” like me. 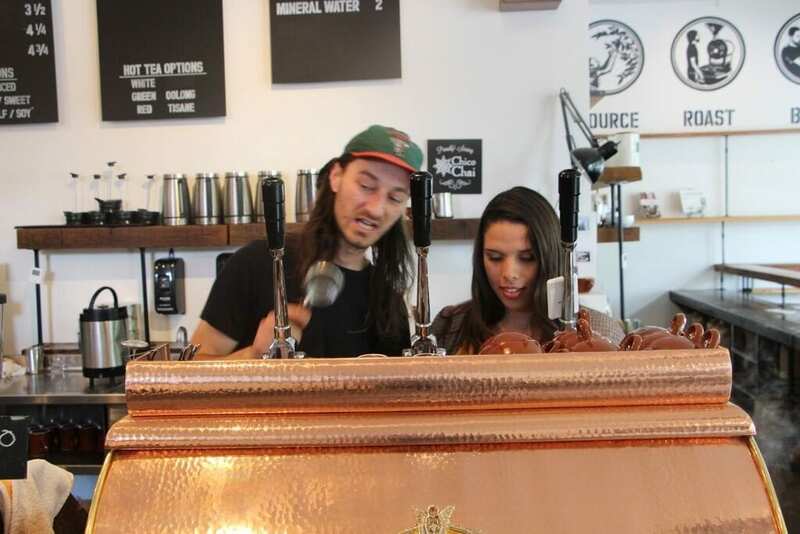 Marianela Montero and her Barista friend in Sacramento, California. 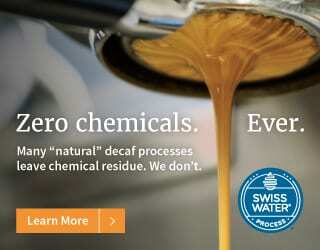 Coffee Fermentation: What Is It & How Can It Improve Coffee Quality?